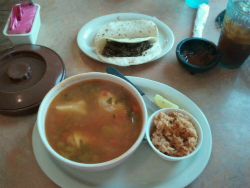 Originally named Lucy’s Kitchen, Fina's Kitchen is the best place for delicious and authentic Mexican food in San Antonio, TX! We offer a family restaurant experience that your family will love. Owner and founder Fina Trejo would love to welcome you to the restaurant and serve up some breakfast, lunch, or dinner for you. Stop by soon to enjoy our incredible dishes! 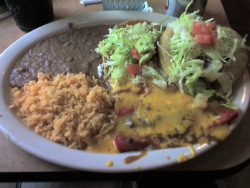 No matter what you try, you and your kids or friends will enjoy the genuine Mexican cooking and fresh ingredients used at Fina's Kitchen in San Antonio, TX. Be sure to try one of our famous lunch specials if you come during lunch. If you love our food and can’t get enough, be sure to place an order for takeout. We have lunch plates, steaks, soups, appetizers, sides, and more. See what people are saying about the food at Fina's Kitchen on Yelp.